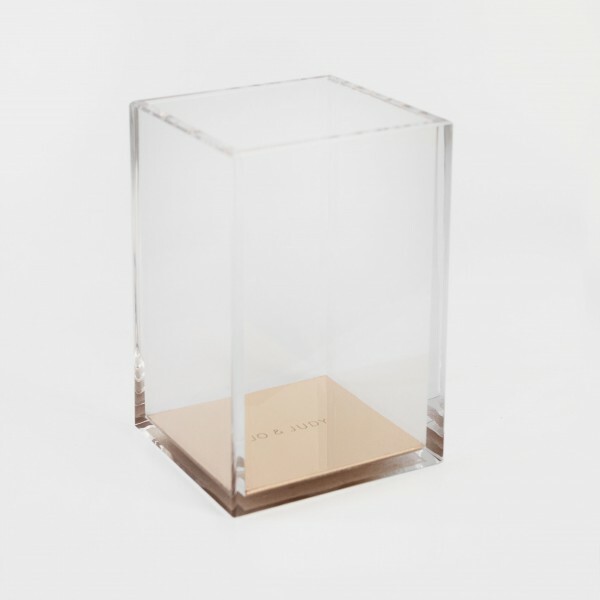 The stylish acrylic and gold pen holder is the useful workspace accessory you were missing so far! Make your workdays more glamorous with golden accents and make all your colleagues jealous of your impeccably gorgeous desk. The pens are not included when purchasing this product. The decor is not included when purchasing this product.